Weight...................44 Lb. Inputs...................2 Door + 2 Windows. Double layer tent with an index of "UP" are set for a few minutes. 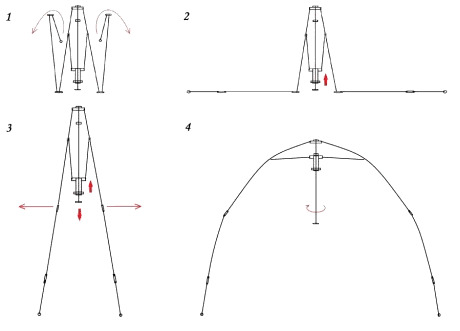 An umbrella-type design allows you to quickly set up a tent on any terrain. This average tent with extended space perfect for fans of hunting, fishing and active rest in nature. It can easily fit three people for the night. This all-season tent. In it you can hide from the hot rays during the summer and extreme cold in the winter. Furnace supports in the tent a comfortable temperature even in strong frosts. 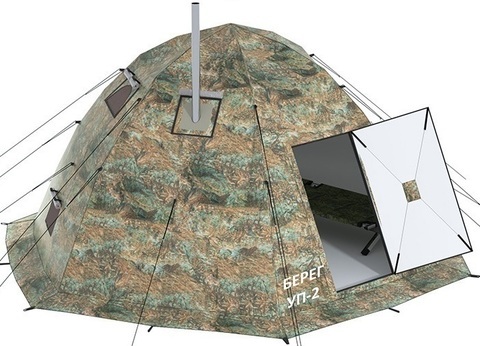 Tent will allow you to comfortably spend time in nature. Thanks to the waterproof material Oxford 240D you'll stay dry inside the tent even in heavy rain. On the doors and Windows have mosquito nets, which can detach and clean up after the summer season. Detachable waterproof floor zip fans will appreciate the fishing. Drilling a hole on the ice you can put the tent on it and enjoy fishing in warmth and comfort. 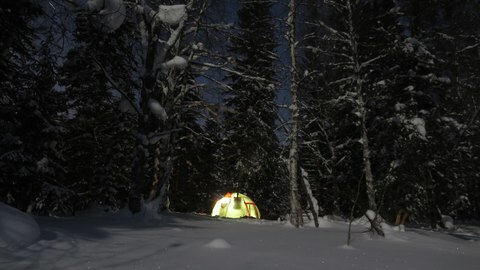 The tent "UP" proved themselves in the harshest climatic zones of Russia! Additionally, you can buy warm floor and three-layer oven long burning. • Tie-down straps and 50 feet. • Pegs - 14 PCs. Attention! Stove and heat-insulated floors are available separately. "This tent is worth every penny! Extremely well made and so easy to set up the stove is amazing I can't believe how warm it gets. Plenty of room and honestly my only regret is not getting this sooner! If I could give more stars I would." "The seller gave accurate information with prompt updates on shipping status. Very well built thick stainless steel stove and high quality tent fabric!! I am very happy with my purchase and recommend this product." "Awesome product! Now i need to hit the gym to open it! Cheers!." "Tent took about 2 weeks for delivery, the whole package is very high quality." "Very good high quality, easy to use. Thank you "Russian Bear" company was very good and fast delivery. Thank you Amazon. This tent exactly for Canada , we like the tent and price is good . We can compare some tent that we have been looking or quality not good , or price . this is the best tent . All information in Youtbe also .My advice is to make video advertising in English on Amazon or on YouTube. thank you again to Amazon and "Russian Bear"!" Medium Stove for Tent UP-2. Super Warm Arctiс Cloak for Tent UP-2. Vestibule for Tent UP-2 Mini, UP2, UP5.